We prefer cartoon alligators to real ones. We met an alligator once. You see, we always wanted an alligator as a best friend, so we jumped at the chance to meet a real one down in a Florida alligator refuge. His name was Mr. Chompers and despite his adorable-sounding name, he was kind of a jerk. He hissed at us. He thrashed around in the water like a maniac while he was eating. He also snapped at other animals that came near his shore. Also, he ate all of our chicken. So, yeah. He was a bad friend. Cartoon alligators, on the other hand, are always cool. They always look so happy and they just want to have a good time. We think most people would love to make friends with that kind of gator! 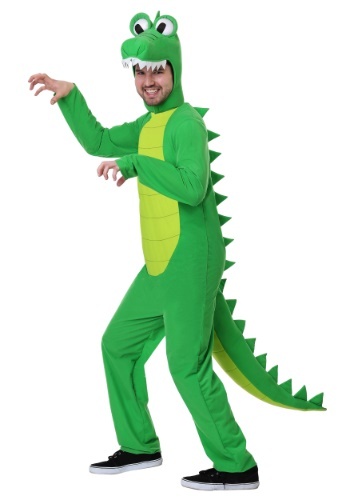 That’s actually what inspired our costume designers to make this Goofy Gator costume. This plus size Goofy Gator costume helps you become the cartoonish alligator that everyone will want to hang out with. It comes with a bright green jumpsuit that fits with a zipper in back. It has a light green belly to contrast the darker green color. It also has a line of spikes in back along with an attached tail. Of course, the hood is sculpted to look like a wacky alligator from a cartoon and it even has big bulbous eyes on top. 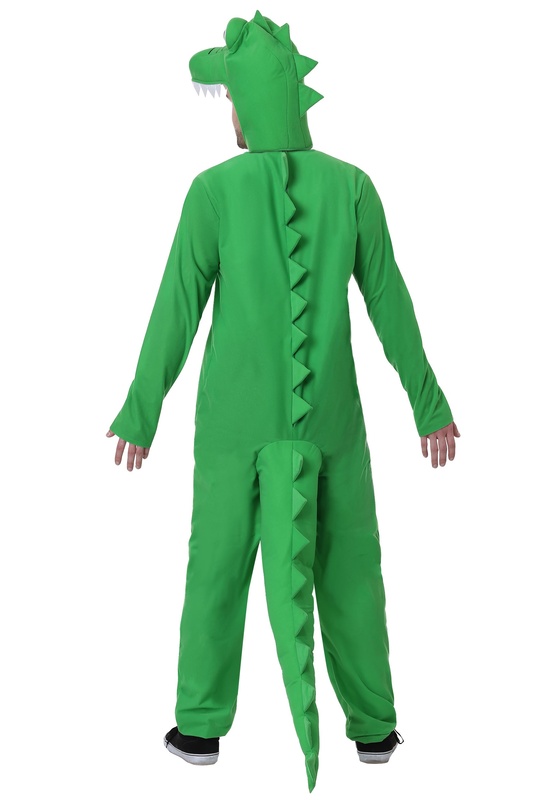 Once you have this costume on, you’ll feel like one friendly alligator. Now, we do have a few pieces of advice to help you make friends better than a real alligator. First of all, don’t hiss at anyone. Second, don’t go around stealing chicken from any of your friends. Finally, make sure to share the beach with other people, unlike the ornery Mr. Chompers.